WIRELESS FESTIVAL IS SOLD OUT! For the second consecutive year, tickets for Wireless Festival have sold out in record time, just a few hours after announcing the huge 2019 lineup. Festival goers raced to snap up tickets to the summer’s hottest party in London’s Finsbury Park. Now in its fourteenth year, the three-day urban music event has cemented itself as the home of urban music and London sound – the go-to event for fans of the world’s most talked about rappers and DJs. This year will see headline performances from global superstars CARDI B, MIGOS (Friday co-headliners), TRAVIS SCOTT (Saturday headliner) and ASAP ROCKY (Sunday headliner). 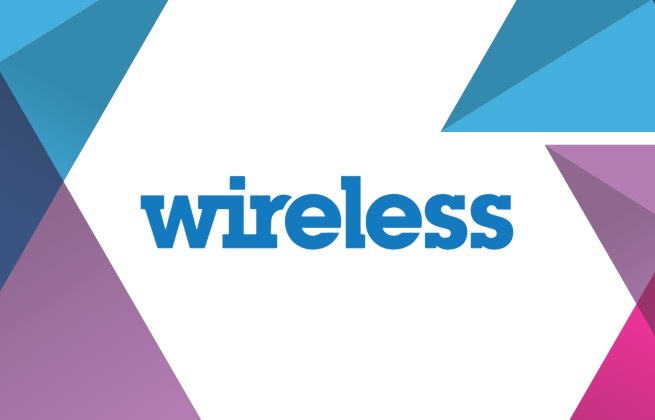 The highlight of the summer calendar, Wireless Festival, is returning to London’s Finsbury Park from the 5th – 7th July 2019. Now in its fourteenth year, the three-day urban music event has cemented itself as the home of urban music and London sound – the go-to event for fans of the world’s most talked about rappers and DJs. This year will see headline performances from global superstars CARDI B, MIGOS (Friday co-headliners), TRAVIS SCOTT (Saturday headliner) and ASAP ROCKY (Sunday headliner), plus Future, Torey Lanez, Lil Uzi Vert, Young Thug, Rae Sremmurd, Ella Mai, Juice WRLD, Stefflon Don, Tyga, AJ Tracey and so many more. Last year’s event sold out in record time, so fans better be quick! Since the release of her critically acclaimed number one debut album ‘Invasion Of Privacy’, Cardi B has been placed within the pantheon of great rappers – The New York superstar continues to break records, she recently became the first solo female rapper to go number 1 in the US in 20 years, and her debut album broke the record for the most streams on Apple Music in a single week by a female artist. Fans can expect to hear global hits ‘Bodak Yellow’, ‘I Like It’, ‘Bartier Cardi’ and more as she co-headlines the iconic main stage alongside Migos. Since the release of their 2018 record breaking album ‘Culture II’, Migos have established themselves as one of the hottest acts in the world and have joined the likes of Run DMC and NWA as one of the biggest hip-hop groups of all time. The Grammy-nominated multi-platinum rap sovereign group are set to bring their unique blend of hip-hop and trap to London as they co-headline the festival on Friday. With a mammoth 2018 which included billions of streams and inclusions in nearly every album end-year list, the hype has never been bigger for the Atlanta trio. Migos are poised to dominate 2019, in a year which will see the release of their fourth studio album ‘Culture III’. Currently on his huge Astroworld: Wish You Were Here US tour; Houston rapper Travis Scott returns to headline Wireless in a UK festival exclusive performance. The Grammy nominated rapper released his third studio album ‘Astroworld’ in 2018 which was met with critical acclaim both sides of the Atlantic and has positioned him as arguably the biggest star on the planet right now. The rap icon is currently placed within the top 30 most streamed Spotify artists in the world, and his influence on pop culture continues to grow. 2019 will see him reach new heights with his Super Bowl Halftime show, various 2019 Grammy Awards nominations, and his Wireless headline performance. Expect to hear fan favourites ‘Sicko Mode’, ‘Butterfly Effect’, and ‘Goosebumps’. Closing the Festival on Sunday in a UK exclusive is the successor to New York’s golden-age of hip-hop legends, A$AP Rocky. Since he first emerged Rocky has continuously broken the mold of hip-hop with mind-melting beats and raps, experimental sounds, and an unparalleled musical landscape rarely seen in music today. The New York rapper has been championed by fellow rap superstar Drake and has accumulated over 4.5 billion streams worldwide. Rocky is set to create a historic moment at Wireless 2019 when he performs fan favourites from his huge catalogue that includes hits from his two US number one albums and 2018 release ‘TESTING’. Elsewhere, one of Atlanta hip-hop’s biggest contributors Future joins the line up for a special performance and the only chance to see him in the UK, bringing hip-hops centre of gravity to London and demonstrating why he is known as the king of trap. Since bursting onto the scene, self-proclaimed rockstar and ‘XO Tour Lif3’ hitmaker Lil Uzi Vert has truly shaken up modern hip-hop. Known for his high energy live show, his set is not to be missed at this year’s festival. Music visionary and multi-art form superstar Young Thug is also added to the line-up. Heralded as one of popular music’s most charismatic and crowd-pleasing live performers, the innovative rapper is set to create an unforgettable Wireless moment. Forever championing the burgeoning UK scene, Wireless 2019 will play host to some of the hottest talent that the country has to offer. Flying the flag for London is rap queen Stefflon Don who returns to Wireless in 2019 following the release of sophomore mixtape ‘Secure’ and her place on the 2018 XXL Freshman list. Fellow Londoner AJ Tracey is also added to the line-up. The rising grime star has become one of the best in the game and will be bringing his dynamic hook-laden tracks to Wireless this year, as well as Hackney born and bred rapper NOT3S. R&B singer songwriter Ella Mai hit the mainstream in 2018 with slow jam ‘Boo’d Up’ ahead of the release of her self-titled debut album in October, which reached Top Five in the US Billboard 200. Since then she has received Grammy nominations for Song of the Year and Best R&B song, as well as a Brit Award nomination for British Breakthrough Act, making her one to watch in 2019 and one of the most anticipated sets of the weekend. Elsewhere, Manchester’s rising star IAMDDB will be bringing her mesmerizing trap-jazz vocals and infectious hits including ‘Shade’ to Finsbury Park. Returning to the Wireless stage on Sunday are the incredible Rae Sremmurd. Based on their 2018 performance, the Mississippi hip-hop duo will once again give one of the performances of the summer. These two brothers have an ever-growing fanbase who will be treated to a memorable hit-heavy set including chart-topping single ‘Black Beatles’, ‘No Type’, ‘Swang’ and many more. Making his Wireless debut is hip-hops next global superstar Sheck Wes. Endorsed by none other than Kanye West and Saturday headliner Travis Scott, the New York rapper released his critically acclaimed debut album ‘Mudboy’ in 2018 and has become one of the most exciting new rappers around. Elsewhere, Tory Lanez heads to Finsbury Park fresh off the ‘Assassination Vacation Tour’ with 2018 headliner Drake. The Canadian rapper and producer will be showcasing his R&B and rap fusion and 2018 sophomore release ‘Memories Don’t Die’ and ‘Love Me Now?’. Joining them is Chicago rapper Juice WRLD who had an outstanding 2018 releasing his acclaimed debut album ‘Goodbye & Good Riddance’ which included breakout single ‘Lucid Dreams’ which has gained over 604 million Spotify streams. Californian rapper Saweetie will also be bringing her breakout single and viral smash ‘ICY GRL’ to Finsbury Park, while West London MC Fredo joins the bill after appearing on NME’s ‘100 Essential New Artists for 2019’ list and ahead of the release of his forthcoming debut full-length album ‘Third Avenue’ having proved his rapping ability with features on tracks like huge 2018 UK single ‘Funky Friday’ with Dave. The latest addition to Festival Republic’s ReBalance programme, Birmingham’s Lady Sanity will take to the Wireless stage on Sunday. ReBalance was launched in 2017 and has so far secured and provided recording time, mentorship, support, and much more to the thirteen artists that have been chosen for the pioneering project. Lady Sanity has already won the GRM Daily Get Rated Award in 2017, and last year won Best Solo Female Artist at the Birmingham Music Awards and will no doubt go down a storm at this year’s Wireless Festival. Other acts taking to the stage across the weekend include XXL Freshman Trippie Redd, Compton rapper Tyga, Lil Baby, Gunna, M Huncho, Unknown T, Ambush Buzzworl, Rich The Kid, Lil Skies, Ski Mask The Slump God, Denzel Curry, Bugzy Malone, D Block Europe, Loski, J.I.D, Maleek Berry, Steel Banglez, Cadet, Headie One, Flohio, NSG, B Young, Deno Driz, Russ Splash and DigDat, with more still to be announced.